We are so excited to have you here! Rock Ranch seeks to provide quality embroidery and digital printing services for, teams, companies, individuals, everyone! 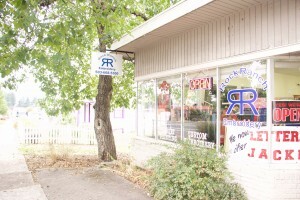 We are located in beautiful Sandy, Oregon. Come check out our shop! We are open Monday – Friday 8 am -5 pm, Saturday’s by appointment only.